Podcasts – SurfWatch Labs, Inc. The digital footprints of many organizations are expanding, and with that expansion comes more avenues of attack for cybercriminals to exploit. The past few years have seen organizations having to manage more devices, more social media channels, and more customer service features — in addition to the increased interconnection and sharing of data with partners, vendors, and various as-a-service tools. That expanding level of presence is increasing the cyber risk facing organizations, said SurfWatch Labs chief security strategist Adam Meyer. Data breaches and service interruptions now often originate outside of an organization’s walls; nevertheless, it’s the connected organizations that tend to pay the biggest price. That’s why organizations need to ensure that proper due diligence is in place around their whole digital risk footprint, Meyer said. In today’s environment that means having intelligence around events that may occur one or several steps down the digital supply chain — as well having a plan of action in place to respond to those threats as they arise. How the digital footprints of organizations have changed over the past couple years. Why IoT devices often bypass proper security management and what actions organizations should take in regards to those devices. The problem of growing supply chains and how one breach can quickly spread to impact dozens of connected organizations. How organizations should respond to the shifting landscape so that they can better manage their cyber risk. 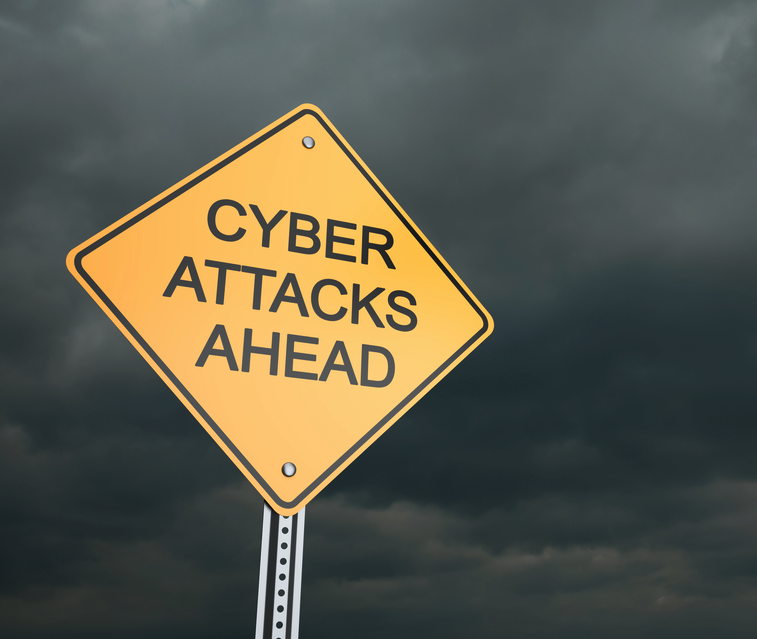 Cyber threat intelligence has become increasingly popular over the past few years. 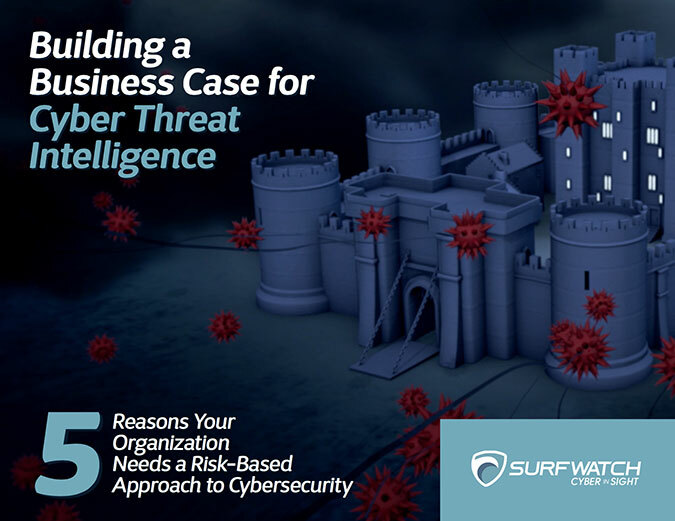 With that rise comes a variety of questions around the different types of intelligence that is available and how that intelligence can be best implemented by organizations looking to mitigate their cyber risk. 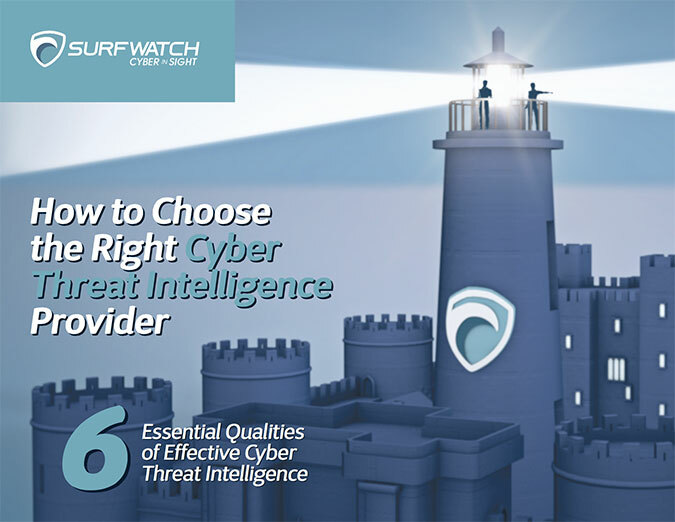 According to SurfWatch Labs chief security strategist Adam Meyer, there are three main types of threat intelligence — tactical, operational, and strategic — however, a focus has recently emerged on strategic threat intelligence. and how threat intelligence will likely evolve in the coming years. Earlier this month, Banner Health announced a data breach affecting approximately 3.7 million people. Since then, a series of class action lawsuits have been filed against the healthcare provider. The breach involved two separate attacks, Banner Health said. The first targeted payment cards used at food and beverage outlets across some Banner Health locations. The second targeted patient, insurance, and provider information. The sensitive healthcare information that was stolen is what sets this case apart from other recent data breach lawsuits, said Michella Kras, of counsel, Hagens Berman Sobol Shapiro. Kras is one of the attorneys working on the Banner data breach case filed by the firm, which she discussed on this week’s Cyber Chat podcast. Hagens Berman Sobol Shapiro filed the class action lawsuit on behalf of Howard Chen, an Arizona doctor whose information was stolen in the breach. Banner Health has offered one-year of free credit monitoring to those affected by the breach, but that’s not enough, said Kras, who estimated Banner Health may pay $6 per person for the service. Listen to the podcast for more on Banner Health, class action lawsuits in general, and what companies can do to limit their liability. The fallout from the breach at the Democratic National Committee continued as WikiLeaks published more information and Julian Assange vowed that there was more to come. UK Telecom O2 became the latest company to be victimized by batches of previously exposed credentials. Shapeways, Kimpton Hotels, and Korean online store Interpark all made headlines for data breaches. Cybercrime advisories included researcher Tavis Ormandy warning of flaws in password manager LastPass, NIST advising organizations to move beyond SMS-based two-factor authentication, a flaw in Amazon’s Silk web browser, the KeySniffer flaw affecting wireless keyboards, and news of the Chthonic banking Trojan. On the legal front a Miami judge ruled that bitcoin is not real money, Target shareholders’ derivative lawsuit was dismissed, the University of Mississippi Medical Center was hit with a $2.7 million HIPAA settlement, a breach led to a Minnesota county paying a $1 million settlement, and a former Citibank employee was sentenced to prison. Finally, one internet star asked his followers to hand over their passwords, and they did.